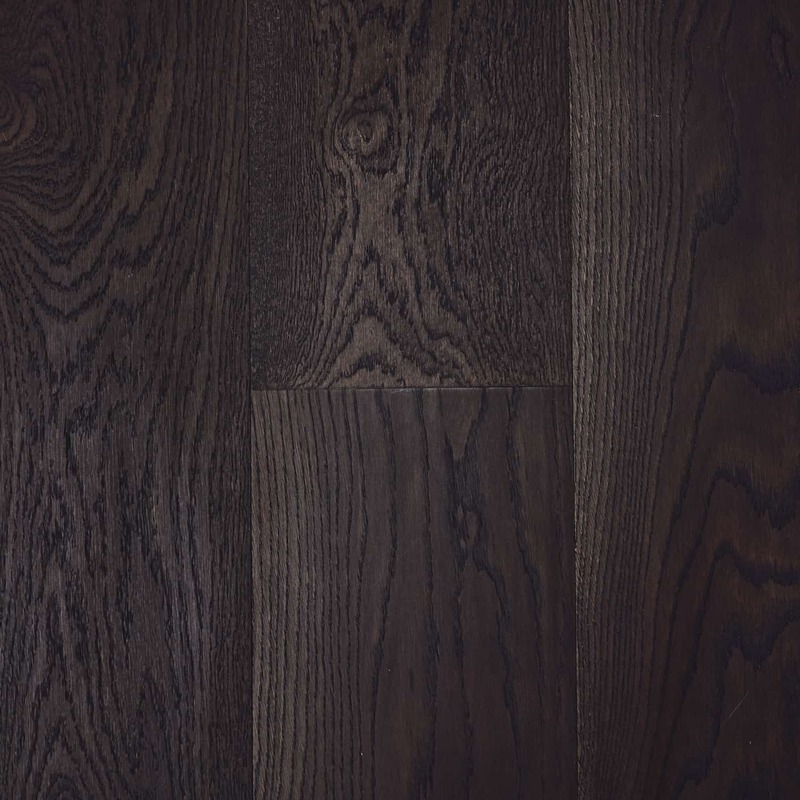 The aged oak-coloured grain of the Bizet range features deep rich brown colours that can enrich any space and add a sense of moodiness. Bizet floorboards are constructed using a solid European Oak wear layer with multi ply sub-layers. This form of board construction delivers high performance structural integrity and longevity. European Oak contains very consistent and elegant natural grains and features, delivering a minimal contemporary aesthetic from a natural material. Superior board stability allows for installation directly to an acoustic underlay or concrete slab by way of a floating structure or via direct adhesive. Plank floorboards are designed with tongues and grooves on all four sides to ensure seamless installation. The Bizet series is finished in natural hardwood oils by WOCA of Denmark. The use of natural oils enables the timber to breathe, regulating humidity and aiding in the prevention of warping and cupping. Plank floorboards are backed by a 25 year structural warranty. Colour and Grading may vary from batch to batch. Being a natural product, colour and grain will vary, whilst knots and surface checking are to be expected. All images used are for colour reference only as some Projects have been supplied in a Prime grade option.